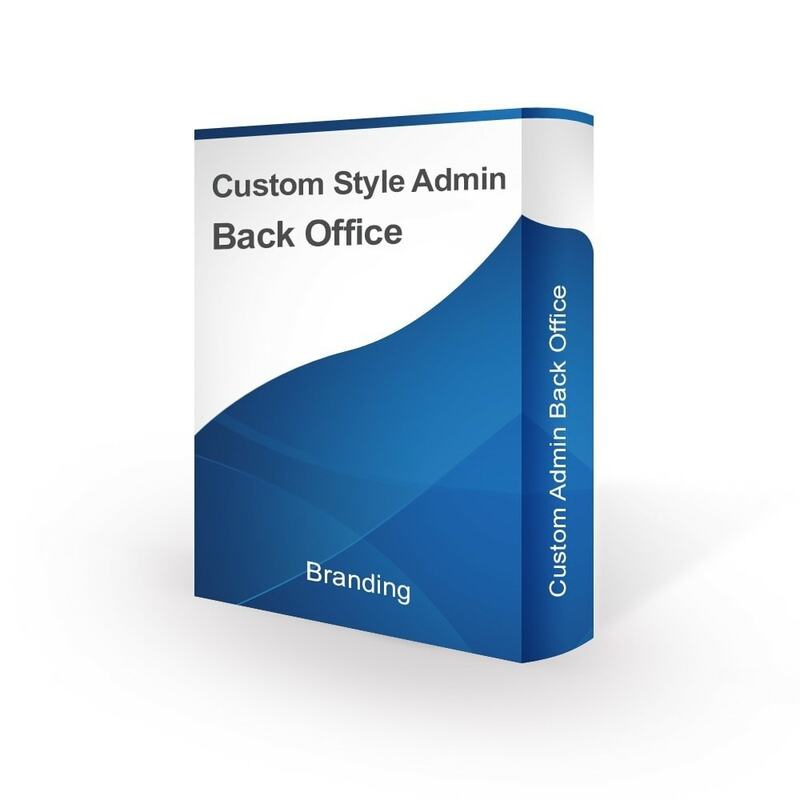 Custom Admin Back Office is a module that easily lets you customize your dashboard and login screen with many options. 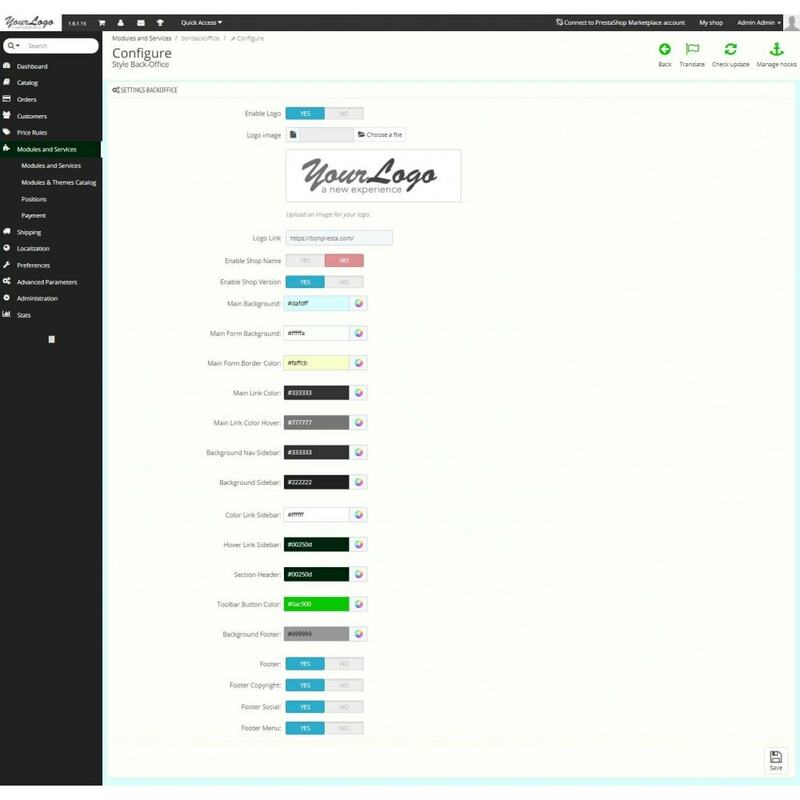 You can create your own branding in the admin panel. 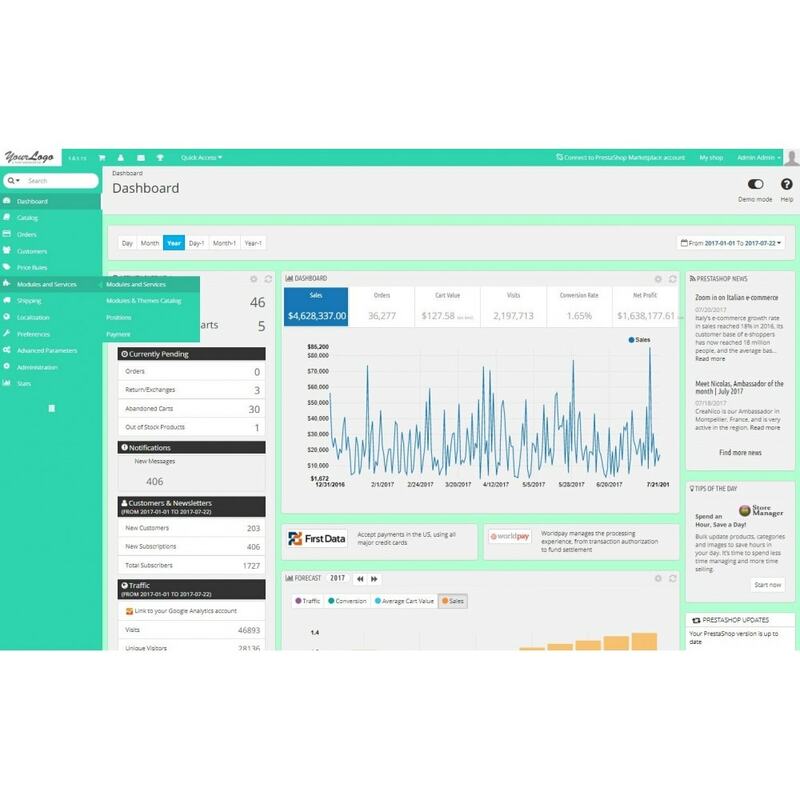 Make the dashboard area easier to use from your perspective as a site administrator. Could be to improve the admin theme. 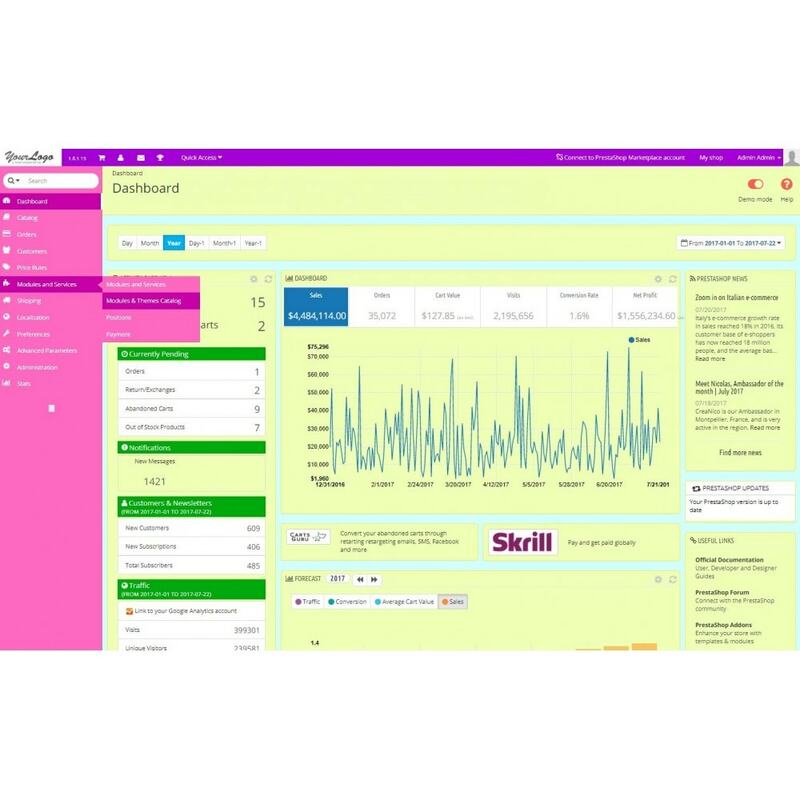 Change the style and design of the admin panel, make the visuals more beautiful. 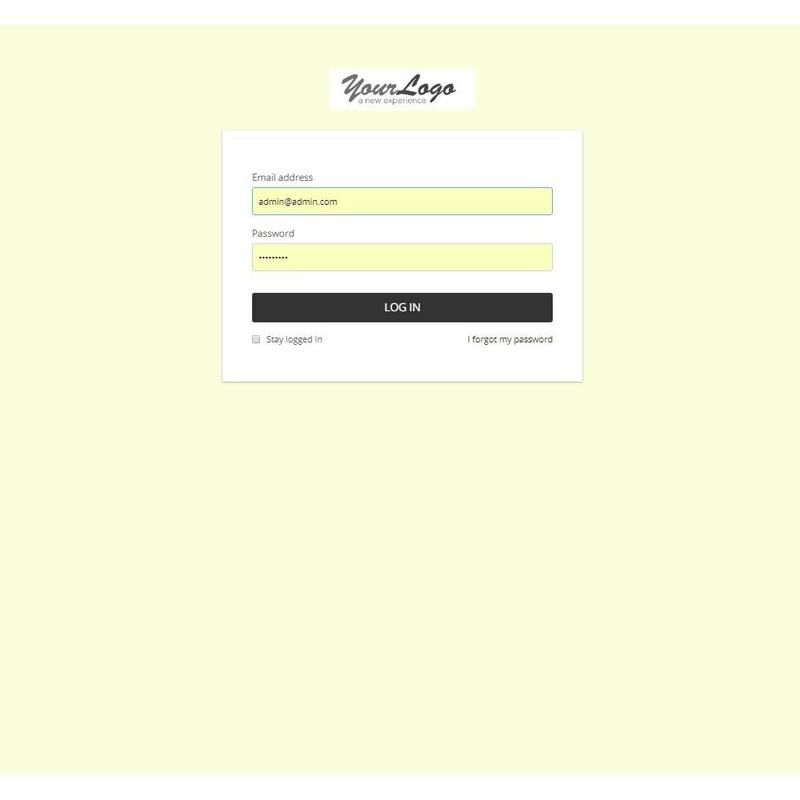 Edit The image above the login form on your Prestashop site. 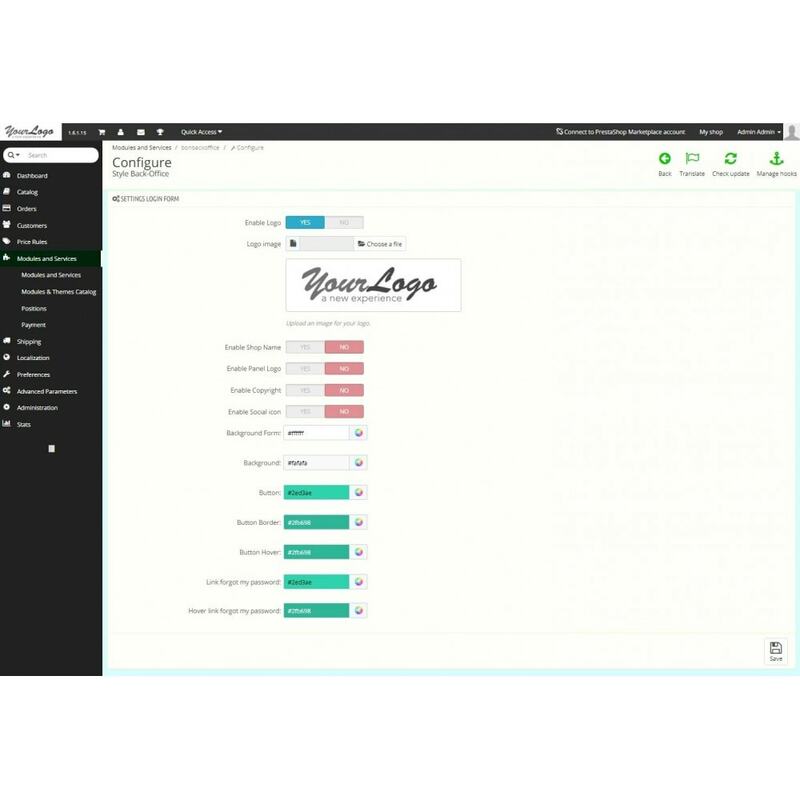 Edit The URL that a user gets directed to when the logo is clicked. Creating a custom login screen with your own logo and colors. 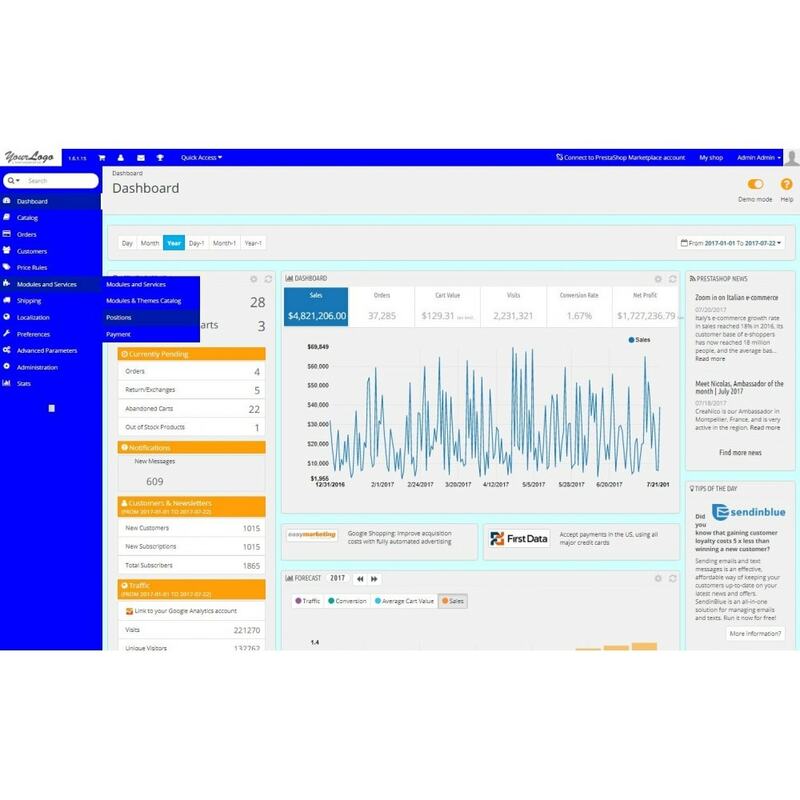 Customizing the dashboard by adding and removing content. 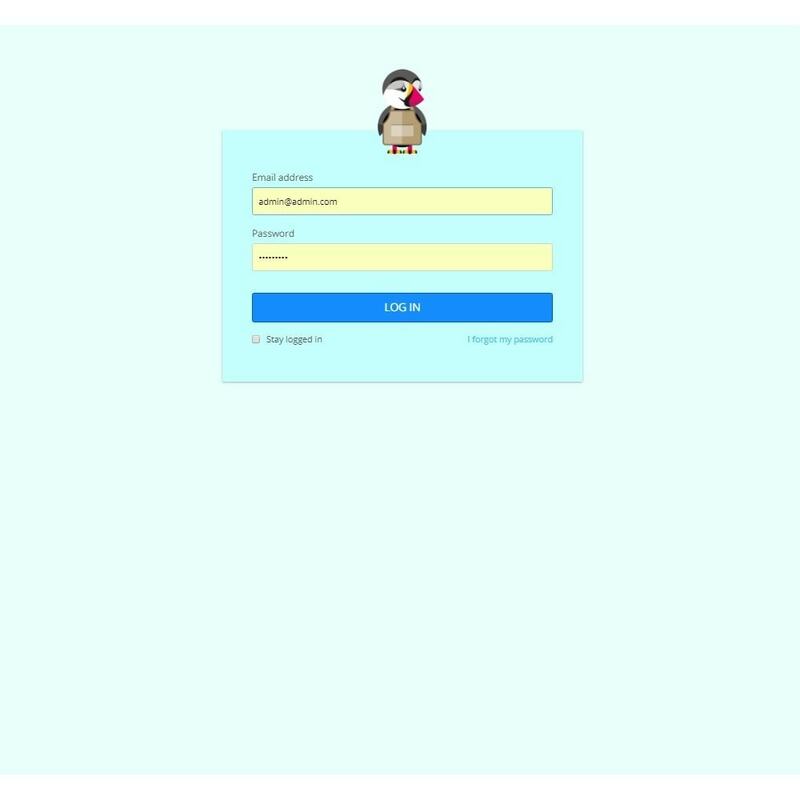 Style the login window with custom CSS.